Oklahoma takes great pride in our members of the Armed Forces. The Oklahoma Department of Public Safety and the Oklahoma Tax Commission have taken steps to ensure that you and your family members can easily renew your automobile registration and driver licenses if you are currently on active duty outside of Oklahoma. 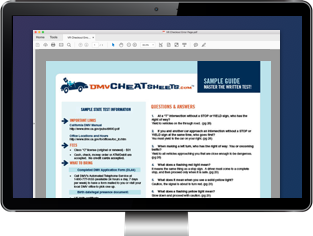 We have prepared answers for some of the most frequently asked questions by military personnel regarding driver license and registration and titling services. My Oklahoma driver's license is about to expire and I am unable to get to Oklahoma to renew it. What can I do? I am stationed outside of Oklahoma and have lost my driver's license. How can I get a replacement? Follow the same steps as above, but enclose a cashier's check or money order for $25 and state in your letter that you need a replacement driver's license. May I apply for a renewal or replacement driver's license online? The Department of Public Safety does not have online capabilities for renewals or replacement driver's license at this time. My family and I are going to be transferred overseas. How do we renew our Oklahoma licenses while we are away? I worry about mailing so much personal information such a long distance. Oklahoma law states that if you are active duty military or the spouse of an active duty service member living outside the continental U.S., your driver's licenses will remain valid for the duration of your overseas service and will remain valid for 60 days after your return to the U.S.
My automobile registration will expire in just a few weeks. I am currently stationed outside of Oklahoma and would like to renew my car in Oklahoma, since I will return. How can I take care of this? Renewal notice postcard or VIN. The Oklahoma Tax Commission has authorized a reduced registration rate of $26 for active duty military plus a $1.50 insurance verification fee. A completed U.S. Armed Forces Affidavit (Form 779 )* which can be downloaded using the free Adobe Reader, properly attested to by an officer, must be submitted with your registration renewal request. *If you need to file a U.S. Armed Forces Affidavit after November 1, 2017 please contact the Motor Vehicle Division at (405) 521-3160. We look forward to having you back in Oklahoma once you return from active duty. We wish you and your family a safe and speedy return to the Sooner State. Request a special annual registration fee from the Motor Vehicle Division if you or your spouse are in the U.S. Armed Forces. Must be signed by a commanding officer.